Here at Adore our main mission is to provide a bespoke, focused, superior recruitment consultancy service to all of our clients, whilst remaining the most cost effective in the marketplace. We value your time and understand the struggles that you face, therefore we will only send the best candidates that we feel would suit your company and the role. These candidates will always be fully prepared and would have undergone a strict interview process with us before being passed on to you. At Adore we pride ourselves on really getting to know our clients, so that we fully understand you and your requirements. As a business we understand that there needs to be flexibility within your staffing solutions. 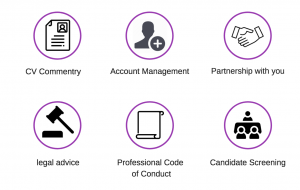 At Adore Recruitment we can offer a wide range of services including contract/interim roles, temporary staffing, retained permanent services and campaign management. As well as this we can conduct group interviews, client site interviews and provide job specification assistance.